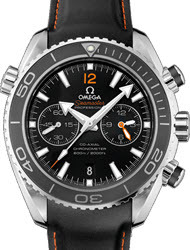 Omega is one of the world's foremost watch manufacturers and the company has a supreme reputation for reliability, having produced the official timepieces of the British Royal Flying Corps and the US Army at different stages. 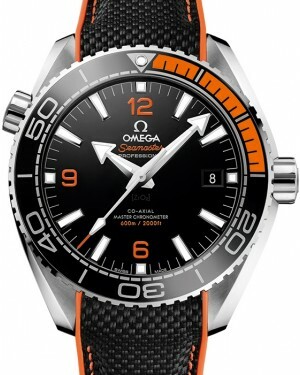 Over the years, Omega watches have earned a unique place in history and pop culture, providing brand recognition around the world. In addition to producing dependable timepieces, Omega is regarded as one of the most fashionable watch companies in the world, with many of its models becoming iconic status symbols. Omega SA was founded in 1903, although it was preceded by La Generale Watch Co, which was established by Louis Brandt as far back as 1848. 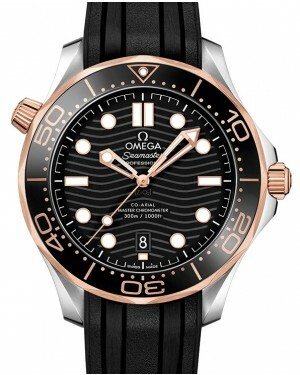 The very first watches bearing the 'Omega' brand name were developed by that company in 1900 and were used by the British armed forces during the Boer War in South Africa. 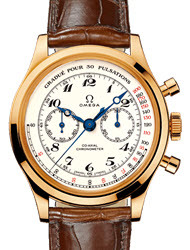 Louis Brandt's sons, Louis-Paul and César, developed their very own in-house manufacturing and production control system, which was used on the Omega branded watches and allowed watch components to be interchangeable. 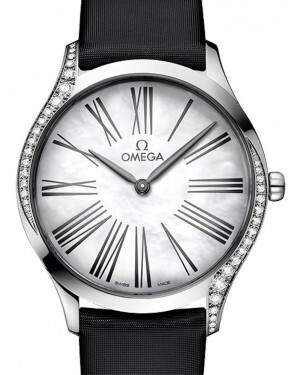 The success of the Omega brand led to the creation of the Omega Watch Company as a distinct entity. 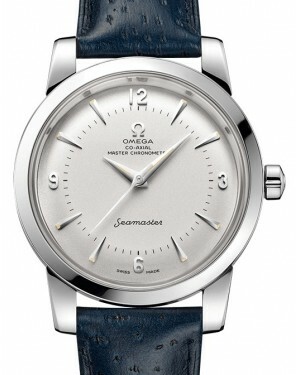 For the first half of the 20th century, Omega focused on creating wristwatches for military purposes. The British Royal Flying Corps selected Omega as its official supplier of military timepieces for its combat units in 1917 and the United States Army did the same a year later. Early Omega models were noted for their durability and capacity to resist tough weather conditions, which made them ideal for military applications. They were powered by a Lépine 12-ligne Caliber HN B and left-handed and right-handed models were available, with the difference being the side that the winding crown was on. 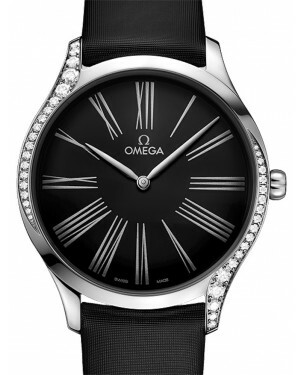 Omega's production methods helped to set the company apart from competitors and the company was producing thousands of watches annually during the early 20th century. However, economic difficulties brought on by two World Wars hurt the company's financial power, forcing a series of mergers with Tissot and SSIH, Geneva. The late 1940s marked a crucial time in Omega's history, starting with the creation of the world's first tourbillon wristwatch calibre in 1947. 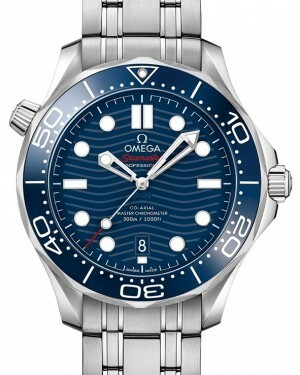 The following year, the company unveiled the first in a series of iconic models which, along with a number of Rolex models, would dominate the luxury watch market for 20 years - the Omega Seamaster. 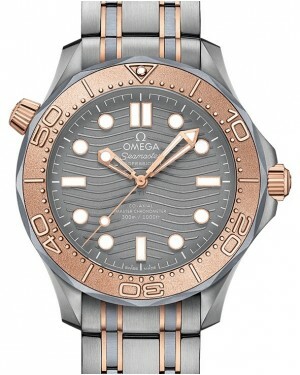 Developed in celebration of the company's 100th anniversary, the model was defined by its sporty, robust appearance and its ability to resist water, initially to a depth of 50 metres below the surface, although modern versions offer water resistance for up to 1,200 metres (4,000 feet). Eventually, during the 1990s, the Seamaster became strongly associated with the James Bond franchise, as versions of the watch were worn by Pierce Brosnan in films like GoldenEye and Tomorrow Never Dies. 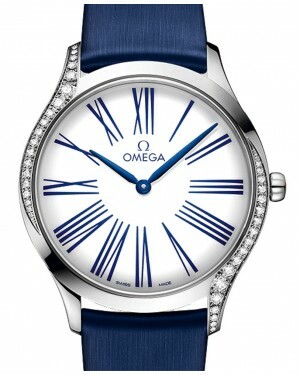 The James Bond association continued, while the watch also became associated with famous figures, like Prince William. 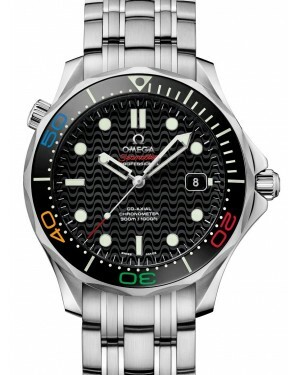 For the James Bond Movie in 2015 Omega issued a special Edition Seamaster 300 James Bond "Spectre" Watch. Although a number of other models were created in between, such as the popular Omega Constellation in 1952, the next truly iconic timepiece to emerge from the manufacturer was the Omega Speedmaster, which was launched in 1957. 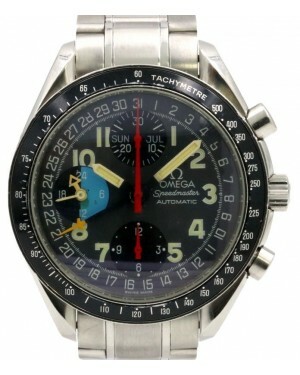 Originally designed as a sport and racing timepiece, its popularity soon became out of this world. 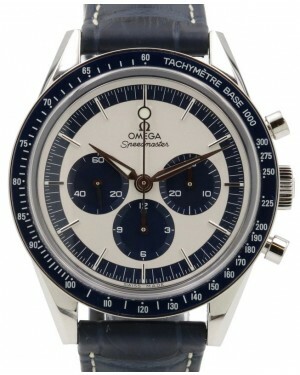 During the 1960s, the Speedmaster became associated with NASA, who used the model during space flight. 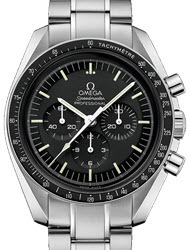 In 1969, the astronauts aboard Apollo 11 sported Omega Speedmaster watches and although Neil Armstrong left his inside the Lunar Module, Buzz Aldrin wore his Omega while walking on the surface of the moon. 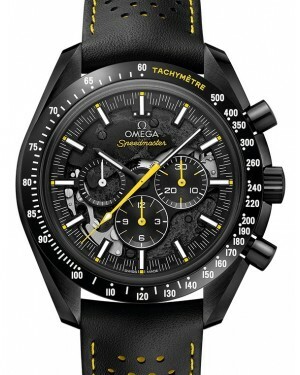 Since that time, the manual winding Speedmaster Professional has been affectionately dubbed the 'Moonwatch' and the popularity of the Speedmaster collection has sky-rocketed. Today, it remains one of Omega's most popular and recognisable lines, defined by its sub-dials and the presence of a tachymeter scale on the bezel. 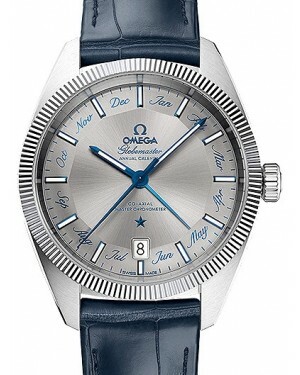 Starting in 1967, the Omega De Ville Model, which had previously served as part of the Seamaster line, became its very own collection. 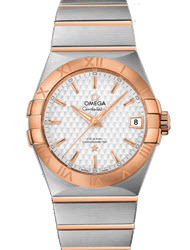 Characterised by its simple functions and modern aesthetics, the new collection became extremely popular very quickly, emerging as the best-selling Omega model over its first few years. 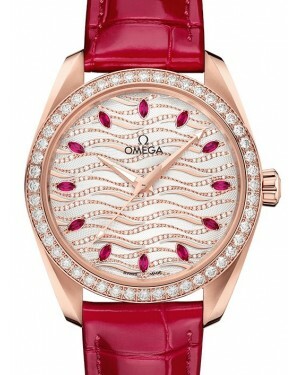 Omega utilised the De Ville collection to experiment with new design ideas. For instance, some models within the collection were given rectangular cases, moving away from the traditional round case shape that had always been associated with the brand up until that point. 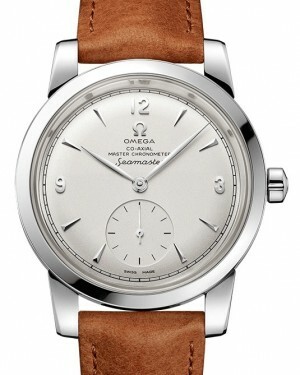 However, Omega struggled during the 1970s, due to the 'Quartz Crisis'. 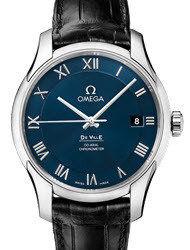 Unlike Rolex, who banked on people still wanting high-quality, in-house movements, Omega attempted to compete with the likes of Seiko by releasing quartz models and, as a consequence, fell significantly behind Rolex for several decades. 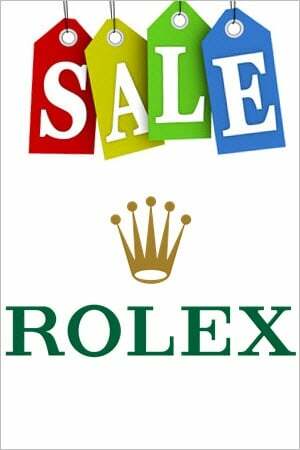 Over the past 20 years, Omega has gradually closed the gap on Rolex once again, and is now firmly re-established as one of the big names in luxury Swiss watches. The brand has also continued to innovate, with some new releases in that time, including a few world firsts. 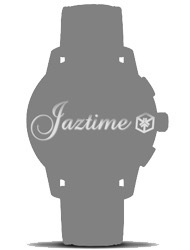 In 1995, the company created the world's first automatic wristwatch with a centrally mounted tourbillion. 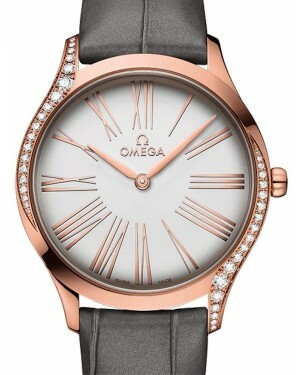 Then, just prior to the turn of the new millennium, the company released the Omega De Ville Co-Axial, which was the world's first mass-produced wristwatch to feature a co-axial escapement. 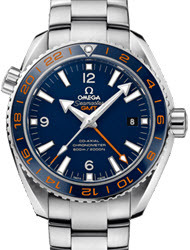 At the beginning of 2014, Omega announced that they had created another world first - a movement that is resistant to magnetic fields greater than 15,000 gauss, or 1.5 tesla, which can be found in the Omega Seamaster Aqua Terra Watch Models. 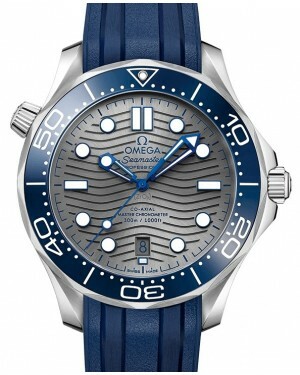 This far exceeded previous anti-magnetic achievements in the field of luxury watchmaking and re-asserted Omega's place at the very top of the industry.